Once you have grown cucumbers at home you will probably never buy them from the supermarket again. 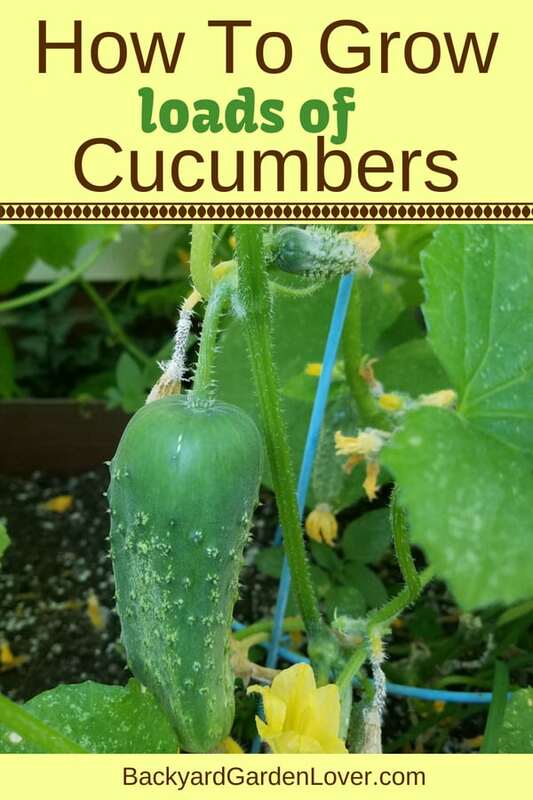 The flavor is far superior when oyu grow cucumbers in your garden. Here’s how to grow cucumbers and enjoy lots of them throughout the summer. 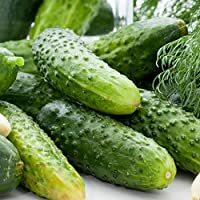 These days cucumbers are not too difficult to grow, as long as you choose the right variety, and with the development of the F1 bred cucumbers, everyone should be able to grow these wonderfully productive vegetable plants. Properly grown, these latter varieties are the mildest flavored of all. The first consideration is space, as the cucumber plant can take up a lot of space. It is a climbing plant which is not so much of a problem outside, but you will need to provide a trellis or frame for it to grow on. There are 2 varieties of cucumber, the greenhouse and the outdoor. Whichever you decide to grow, will need a rich and nutritious soil to thrive. 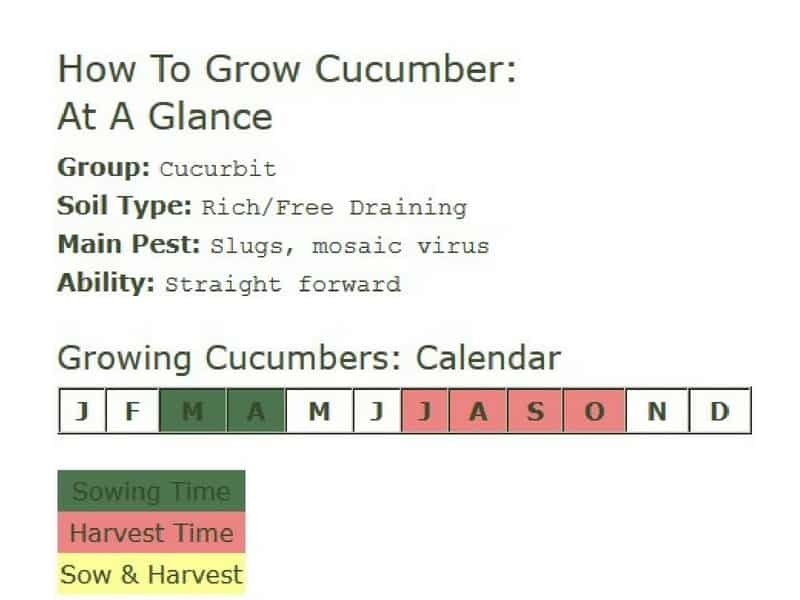 Many experienced cuke growers usually dig in plenty of well-rotted manure in the spring or at the end of the season the preceding year. If you don’t use manure dig in compost or municipal soil improver, and a dressing of fish, blood and bone fertilizer. Cucumber belong to the cucurbits group which includes such as squash, marrow, zucchini and pumpkins. All these plants need a well fertilized soil. As they flower, introduce a liquid plant food to add to the richness of the soil. A liquid tomato food would be ideal whether it is a commercial food or your own comfrey tea. Make a ridge to plant your cucumber on, especially outdoor cucumbers. They love water, but hate to be wet. 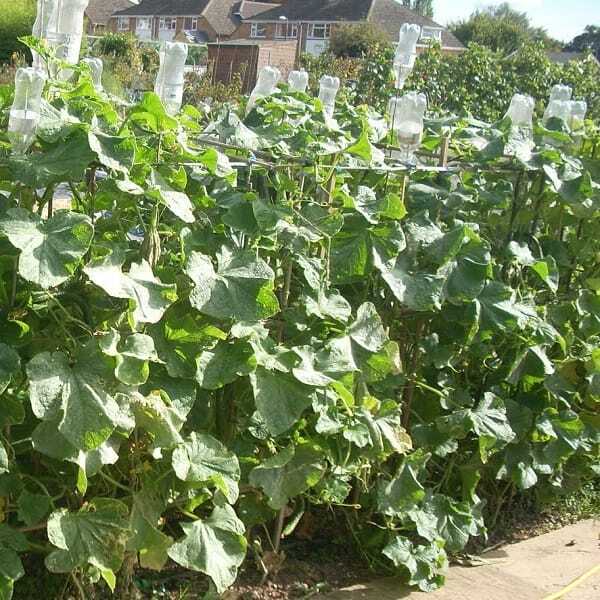 In the greenhouse, plant an upturned soda bottle next to the plant with the bottom cut off and lid off, and water your cucumber plant by topping up the bottle. 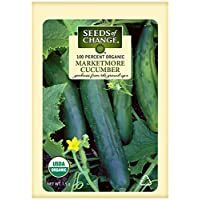 Before choosing cucumber seeds you will need to decide whether you are going to grow them in the greenhouse or outside in the garden. 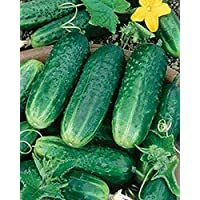 Oddly enough, it is probably easier to grow cucumbers outside as indoor varieties are very sensitive. Although the outside fruits do have a thicker, spiky skin and will need to be peeled, they do have the better flavor. At one time there was a need to remove the male flowers from the plant to stop the fruits developing bitter flavors, but that has largely been bred out of the plant, as long as you choose F1 type seeds. You will need to sow cucumbers in a propagator or on a warm window sill in an 3″ peat pot around mid-march. Pot it into a larger pot as the seedling grows. At this stage the biggest thing to watch out for is temperature fluctuations. Even a cool breeze could kill a young plant. In late April, you could move them to the greenhouse. Move outdoor plants to a cold frame to harden off once the cold nights have passed. Pant greenhouse cucumbers into their final position in May, with outdoor varieties going out in June. Plant outside cukes on a ridge and greenhouse plants next to a buried watering bottle. Remember to provide them with a frame to grow on. 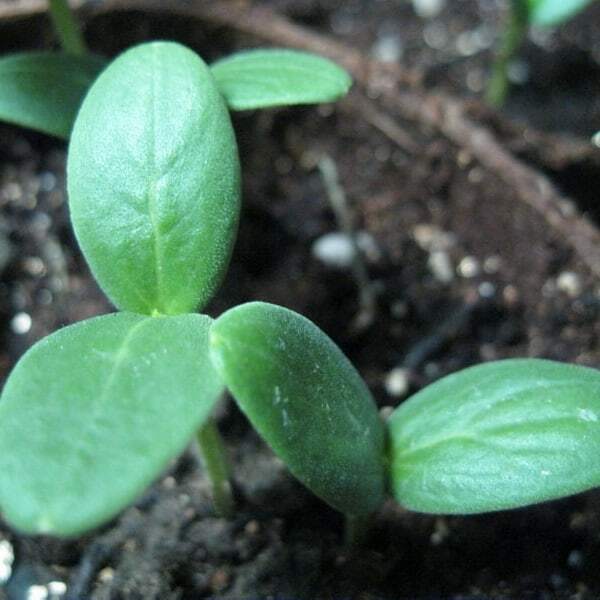 Once the growing stem of the cucumber plant has eight leaves, snip off the growing tip. They will then send out several climbing stems. 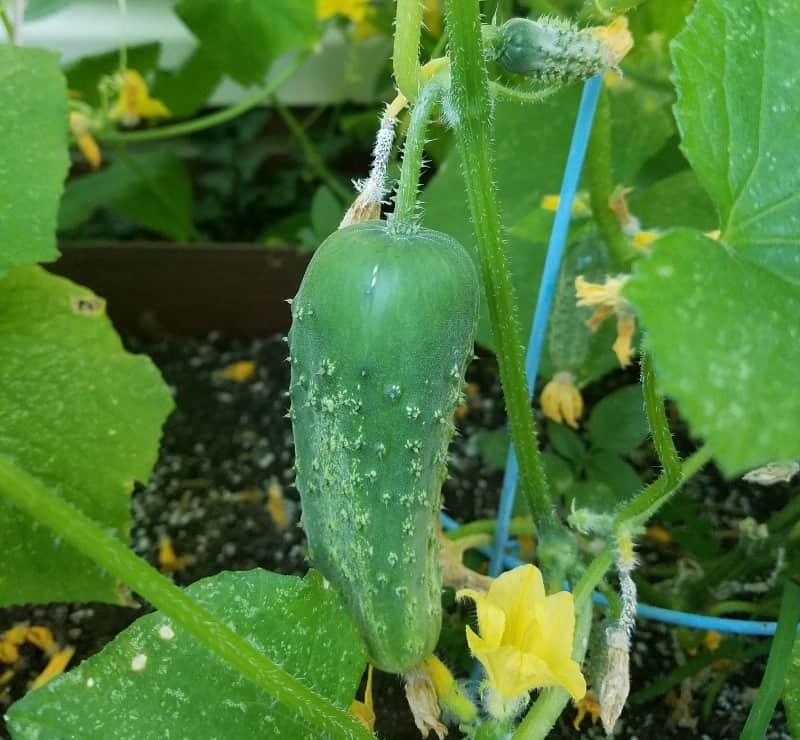 Cucumbers are susceptible to mosaic virus, but as this disease is generally carried by aphids, as long as you effectively control aphid attacks, you will prevent the virus from reaching your plant. Unfortunately, if you do get an infection the best action to take would be removing and disposing of the plant. Take care not to touch any other plants with any tools or fingers that have come into contact with the virus. Other pest to keep an eye out for are slugs and snails. Regardless of which slug control method you use, whether barrier, trap or poison, be prepared to use it around your cucumber plants. Greenhouse spider mites will cause golden brown discoloration of leaves and shoots. Sulfur spray might help, or you can use predatory insects, such as Phytoseiulus persimilis. Neck rot is a common disease in young plants set out too early. The temperature may be low and the humidity too high. Growing plants on mounds in full sun usually protects this problem. Pick cucumbers when they are on the smaller size to encourage them to keep flowering and fruiting. Don’t allow the fruit to go yellow on the plant: this will stop it from producing. Greenhouse varieties will fruit earlier and should keep going until October, while outside production is a little shorter. A cucumber plant can produce a glut of cucumbers, so one plant will probably be enough for most families. Of course, if you’d like to, although it is worth bringing on two plants just in case. Don’t just think of cucumber as a slicing vegetable for a salad, as there are many things that you can do with cucumber. 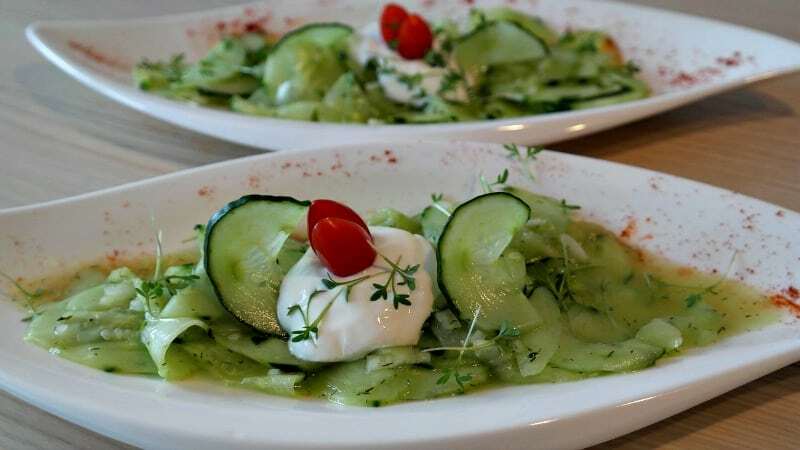 Cucumber makes a great relish, and a yogurt and cucumber raita gives a cool fresh contrast to a curry. Cucumber works very well in a healthy smoothie. And how about a classic cucumber sandwich with some finely sliced smoked salmon? Here’s a list of delicious cucumber recipes.